Manhattan on his 29th bike (the other 28 have all been stolen) following and snapping street style all over the streets of New York. A gentleman with such energy and a clear passion for what he does, its really hard not to fall in love with this man. The 1 and a half hour film is on now in selected cinemas. 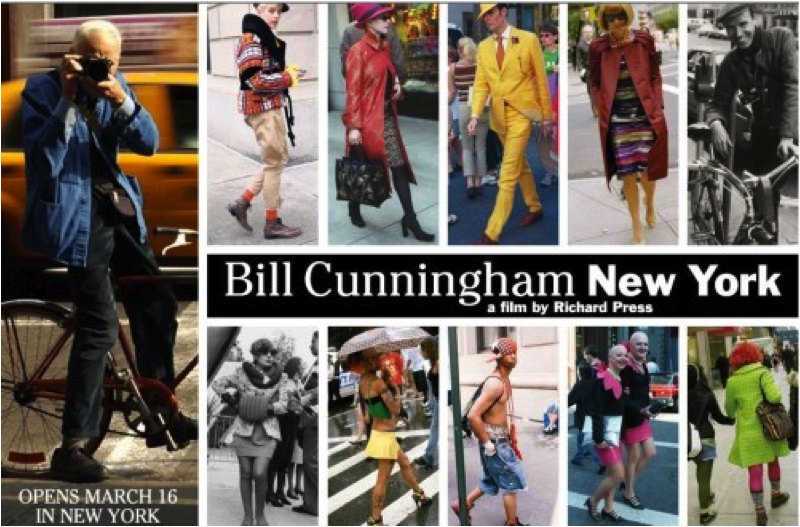 It really is intriguing what Bill has created from an incredibly talented eye for trends. 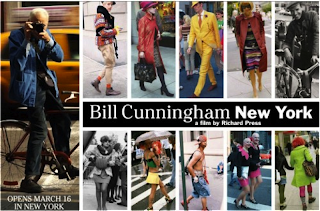 Hats, shoes AND shirts off to you Bill Cunninham!